Hi guys! 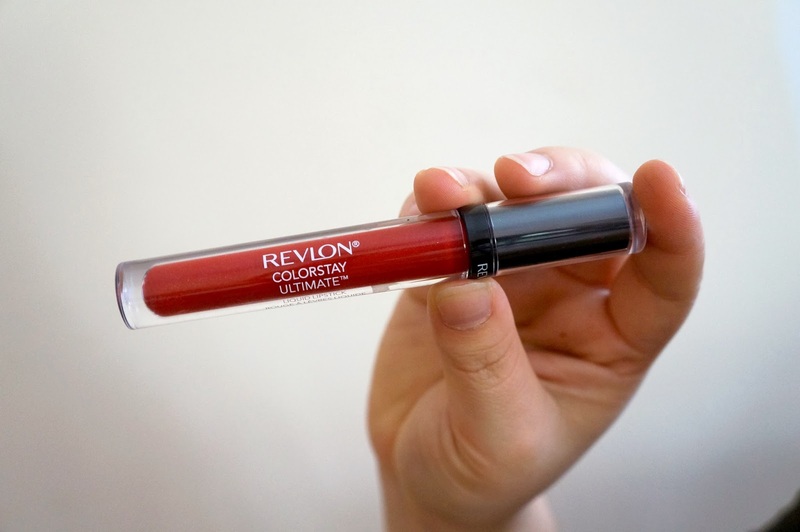 I recently bought three Revlon Colorstay lipstick/gloss because my sister told me how awesome it is. So I thought I should try it out as well.. 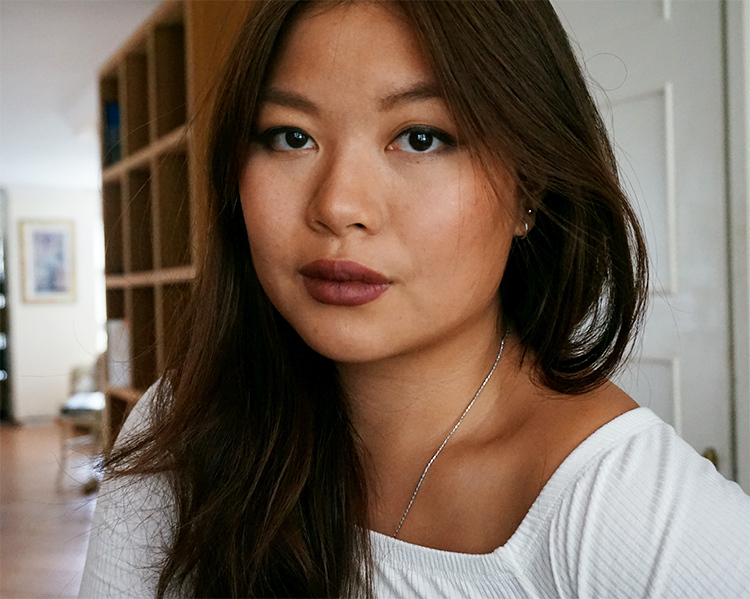 I can honestly can say that I've never been quite so impressed of a make-up item before! The color actually stays! The liquid of the lip gloss is a bit watery just like a liptint one but with more pigments. The watery liquid dries out quickly (less than 3 minutes) and becomes matte on your lips. Even after drinking hot tea or eating a sandwich, the color stays. 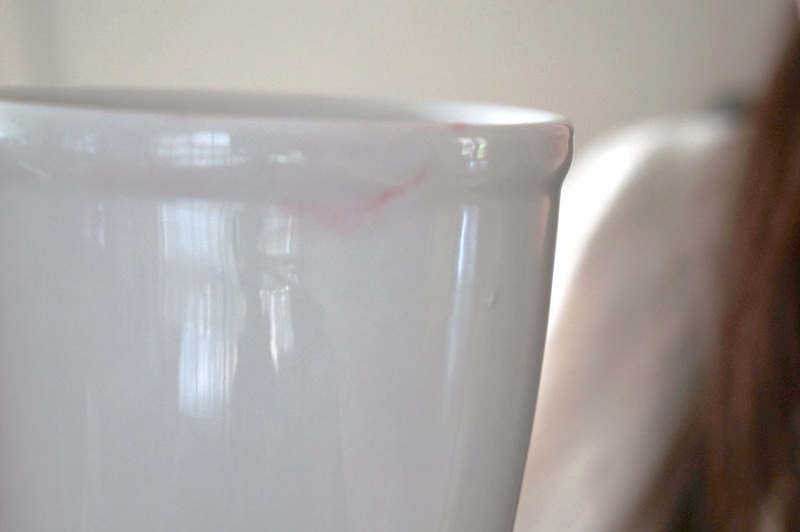 It only leaves a little stain on the mug but the lips still look very spot on. I don't know what the actual retailer's price is since I bought mine for cheap at a fair, but I don't think it's more expensive than a mac lipstick since it's a more drugstorey brand. I can definitely recommend this product to anyone who find it annoying to keep on applying lipstick or who likes to eat and drink all day through (like me) and not worrying about your lipstick. So far I've only tried this red color called "top tomato" , can't wait to see what the other colors look like on. Such a pretty color! You look great!! Gosh, this looks lovely on you! Love the GIF! 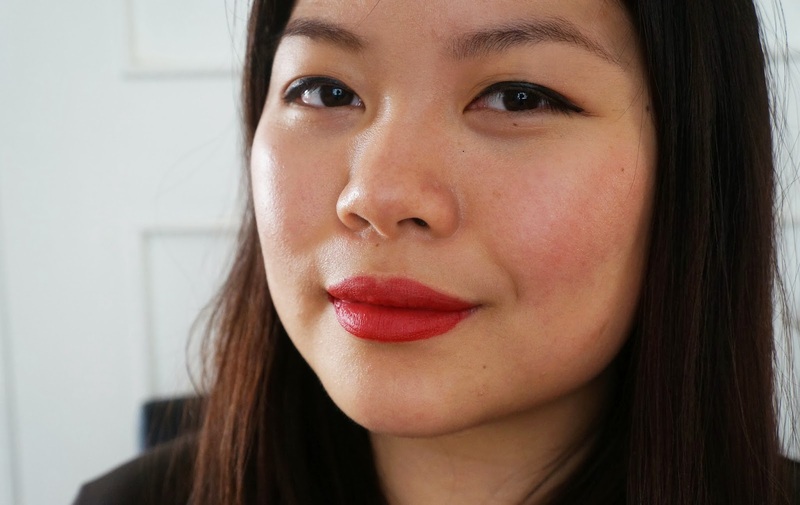 I'm always in search of the perfect red lips… this might be my miracle product! deze kleur staat je heel erg goed!